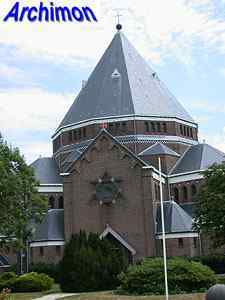 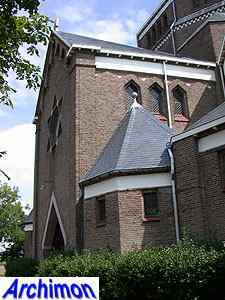 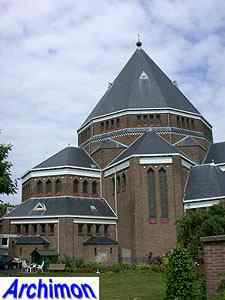 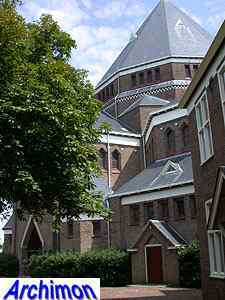 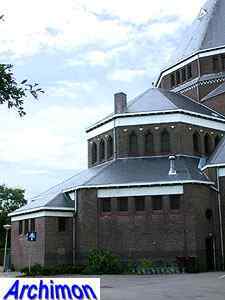 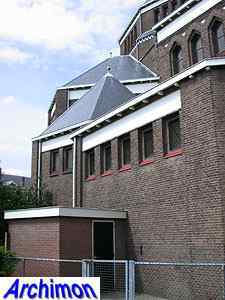 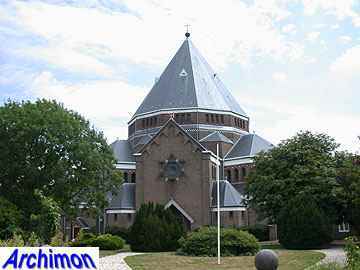 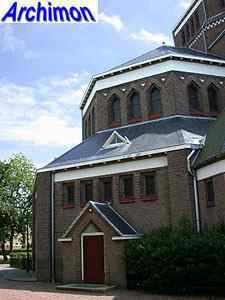 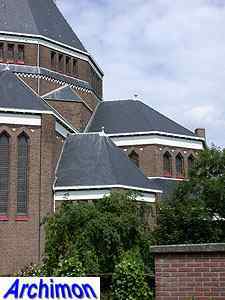 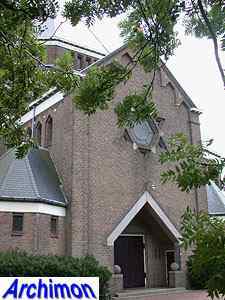 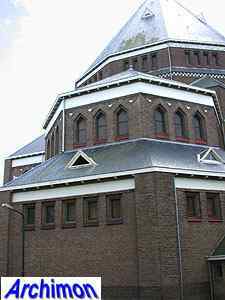 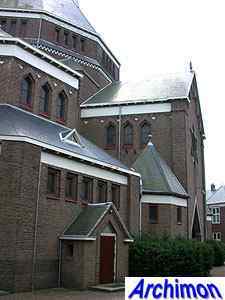 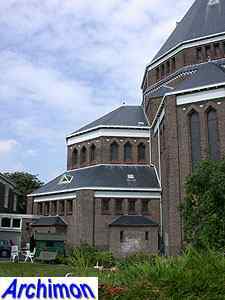 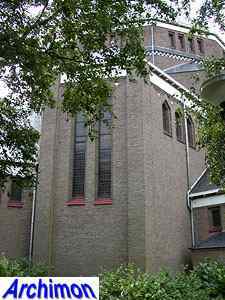 The church of the "Holy Guardian Angels" is one of architect Jan Stuyt's best attempts at a centralizing church, if not the best. 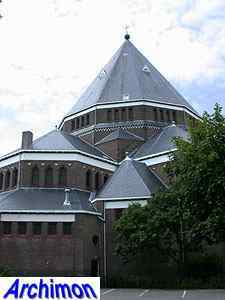 It consists of a polygonal central space with several spaces arranged around it, forming a triangular ground-plan. 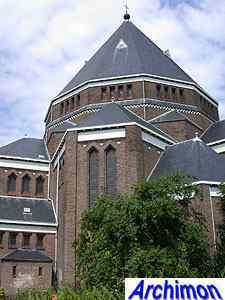 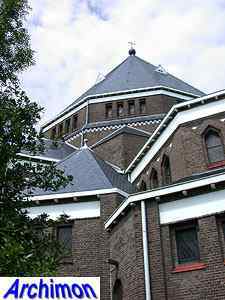 On top of the central space is a tall, cone-like dome. 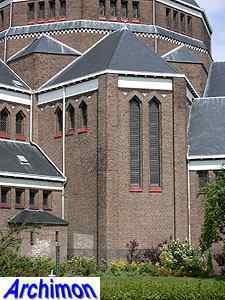 The windows of this church show similarities to the work of expressionistic architect Dom Bellot.